Does Delta sell the gaskets for their shower hoses? I lost the gasket at the end of the hose that connects to the handheld shower head. Where can I find a properly sized replacement? Need a F-F coupler to connect this. What do you recommend? The hose needs 3/8 fem compression on one end, and the other needs 1/2 fem pipe for connecting to standard hand held shower wand. Does this part match? How long is it? Thank you for your question. Delta Faucet part # RP40664 is male 15X1 mm on one end and female .704 on the other end. It is 58.675 inches long. 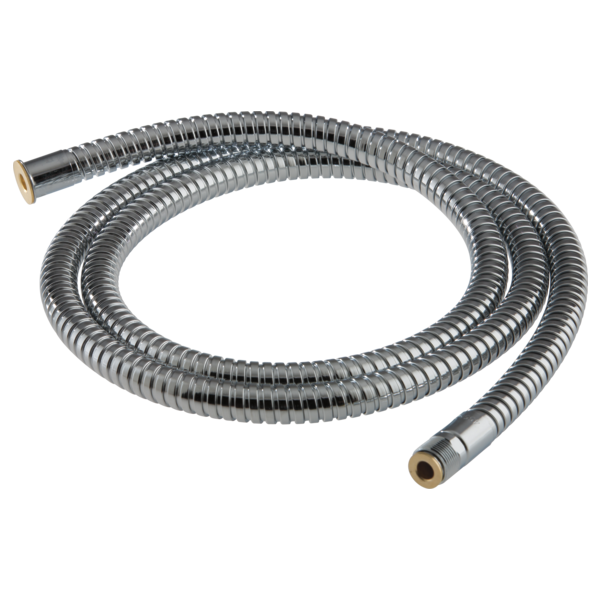 Is there a vinyl, plastic, or braided hose that can be used in place of this one (RP40664) that can withstand a lot of bending without breaking/cracking?